The ex-couple Rihanna and Chris Brown are set to release their new albums before the year ends. 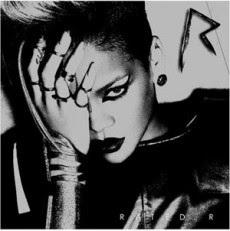 Rihanna's new album is titled "Rated R" which I think is more angsty. Rihanna's fourth studio album will be on sale on November 20. Her first single to that album is "Russian Roulette", written by Ne-Yo and herself. Chris Brown on the other hand will release his third studio album titled "Graffiti" on December 15. His lead single for that album "I Can Transform Ya", which features Lil Wayne and Swizz Beatz is already charting in Billboard (#16). There is one catchy song from his album titled "Changed Man" that I think was related to the Rihanna incident. Anyway, let's just see who will do well in terms of sale. Hope you will visit my blog too. thanks guys! i will bacolod and beyond.